Ebook ISBN is 978-1-63489-236-0; audiobook ISBN is 978-1-63489-237-7! —Dr. Gregory Fabiano, Ph.D, winner of the Presidential Early Career Awards for Scientists and Engineers. "Thank you, Dr. Quie! 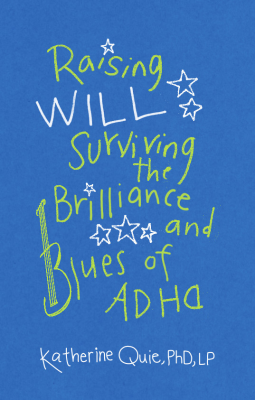 After twenty-seven years of practice in psychiatry, Raising Will changed the way I think about ADHD and the family experience." —Dr. Craig Vine, M.D., medical director at Psych Recovery, Incorporated.